The Robotic Competitions are part of the vision of creating "Robot Sports Arena" events. We envision that student teams will develop their own robotic systems in order to compete in certain races and challenges challenging the limits of robotic design and autonomy technologies. For the 1st robotic competition (Spring 2017), students will compete on an autonomous car racing challenge. Inside the Autonomous Robots Arena, a mock-up environment of a race track will be made and student teams will have to develop their own robotic car solution. ​Three student teams are invited to participate. Express your interest via e-mail at: autonomous.robots.lab@gmail.com or kalexis@unr.edu. All teams will have to consist of 4-6 students. All teams will develop a robot based on a $600 budget (provided by the lab). The specified amount is selected such that it is able that the required sensing and processing systems can be acquired. All teams should utilize a single camera for sign recognition but any other sensor they want for other functionalities of the robot. There is no constrain on the robot design to be implemented. No manual driving is allowed but any crazy hack to boost your robot's autonomy is welcome! The winning team will receive $500 more to continue their research activities, as well as an honorary plaque. More details will be released in due time. 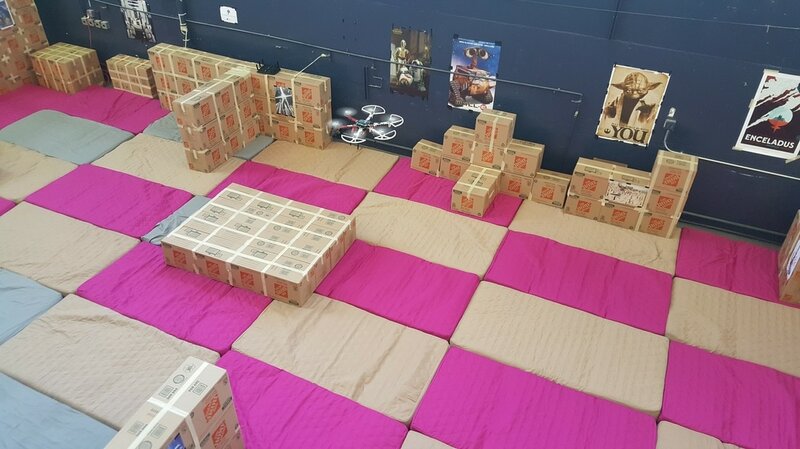 The considered mock-up environment will be implemented within the Autonomous Robots Arena (photo below) and will be a 2 x 2m surface on top of which a "city streets" environment will be printed, while road signs, and obstacles will be distributed. The winning team will be based on a scoring algorithm evaluating the speed of the system in combination with how successfully the robot respect simple road signs (stop, no turn left), avoid crashing, and remaining on the lane. Details of the mock-up environment and the scoring function will be released later. Photo of the Autonomous Robots Arena - a Mock Up structure for a race track will be implemented. The considered complexity of the road map will not exceed that of stages found in simple platform racing games. An indicative example is shown below. Similarly, the considered robotic systems will correspond to simple vehicles, primarily relying on embedded processors and a camera sensor. 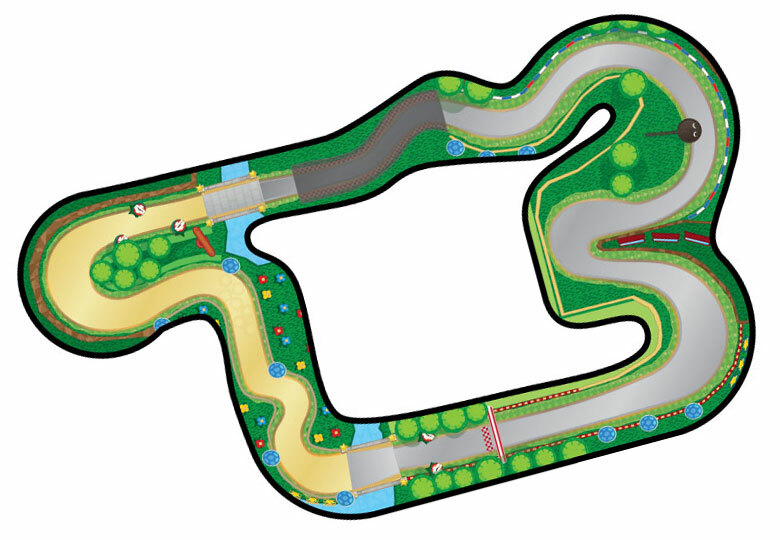 An example of how the considered race track mock-up might look like. A simple low-cost robotic platform. The robots for this competition will all integrate a single camera sensor. A selection of links to further resources and literature elements. As it is always a proper practice to reference those that inspired you, for this competition we would like to advise that everybody studies the MIT DuckieTown. 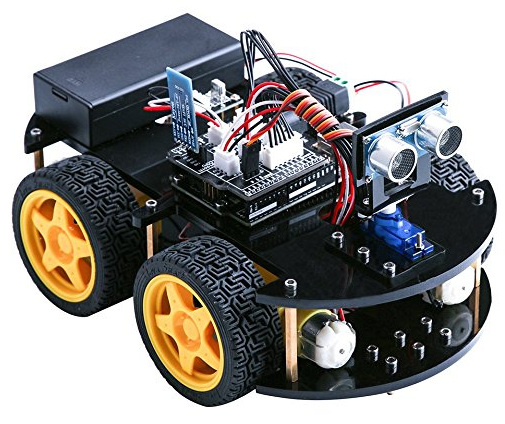 Further motivation was also provided by the activities described at DIYrobocars.